I have always had a strong interest in raptors and falconry, and was interested in this book solely because it had “hawk” in the title (hence its appropriateness for the assigned book challenge cattegory). 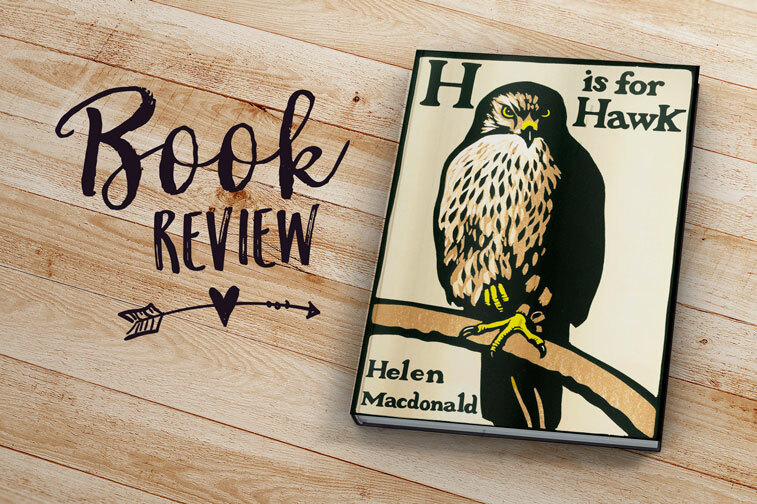 H is for Hawk is extremely well written, and this is one of those rare occasions when I think a book lives up to its best seller hype. The descriptions of the English countryside made me pine for my home across the sea, and I love love loved Mabel the goshawk. The central core of the story—Helen’s grief over her father’s death—is handled with grace and raw honesty. And the prose was gorgeous. MacDonald definitely has a way with words. The only thing I didn’t love was how much page time was devoted to T. H. White and his own goshawk, Gos, about which he wrote a book called—go figure—The Goshawk. While some of the details were nice and it provided a nice juxtaposition for Helen’s own experience training Mabel, it felt at times like a rather tedious book review. I would rather just read The Goshawk myself instead of a synopsis scattered throughout another book. This would have been a solid 4 without it.